← Gliders in urban space and Camphor Laurel – a useful weed? “Seeing the kids having fun took me back to my time as a Cub and Scout Leader. Things have changed a bit since then. There are girl Cubs now and next week they are doing something with computers! 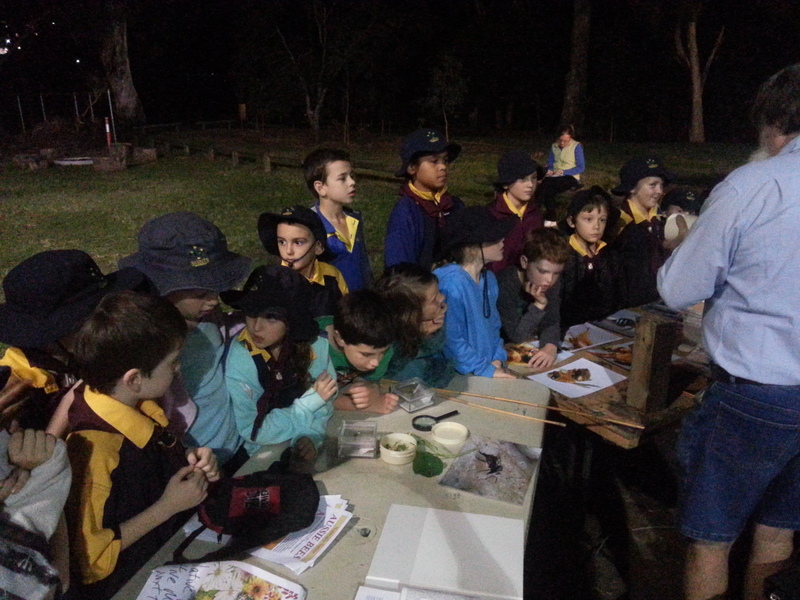 Very different but great to see the kids having fun.” I was talking with Len Kann, a member of Mt Gravatt Environment Group, passionate advocate of our Australian native bees and long time Sugarbag Stingless Bee Trigona sp. keeper. 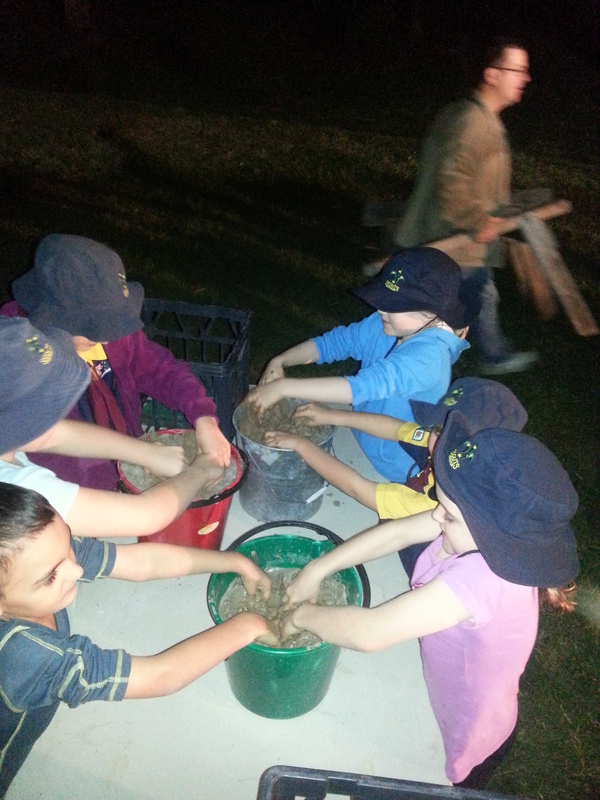 Len was helping Cubs, and some Dads, at the Majestic Park Scout Group make backyard beehomes. We have over 1,500 native bee species most of which are solitary species that do not form colonies like the Sugarbag Bees. In Mt Gravatt Conservation Reserve we have identified Blue Banded Amegilla cingulata, Teddy Bear Amegilla sp. and Leaf-cutter Bees Megachile sp. 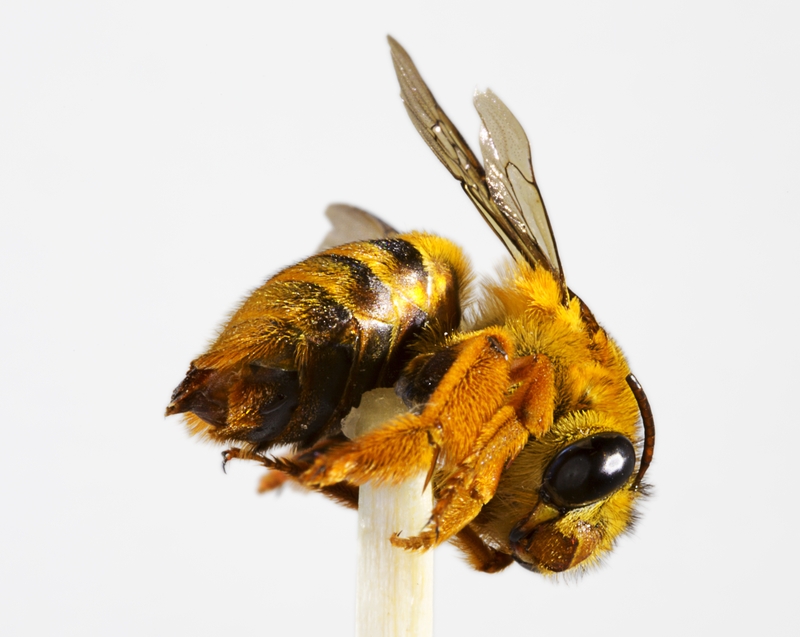 Native bees provide valuable pollination services for agriculture – Sugarbag Bees are valuable for a couple of Queensland favorites, macadamias and watermelons, while Blue Banded and Teddy Bear Bees provide important buzz-pollination services for tomatoes and eggplants in our backyard veggie gardens. Blue Bandeds and Teddy Bears lands on the flowers, disengage their wing muscles, then use these powerful muscles to shake the pollen out of the flowers. While this can be done by wind a good community of native bees provides a much more reliable pollination service to improve crop production. Backyard beehomes provide important shelter and breeding places to attract our solitary native bees to our backyards. Blue-banded and Teddy Bear Bees like to borrow into earth banks to make a nest that they fill with pollen and lay their eggs ready for new bees to hatch out in spring ready to pollinate our veggies. Len’s Cubs in mud were making Blue-banded and Teddy Bear beehomes sieving, mixing and stuffing mud into short lengths of pvc pipe. While Len was working with the Cubs in Mud the Dads were using their electric drills to make beehomes of Leaf-cutter Bees by drilling different sized holes into blocks of hardwood that can then be hung in trees in the backyard. 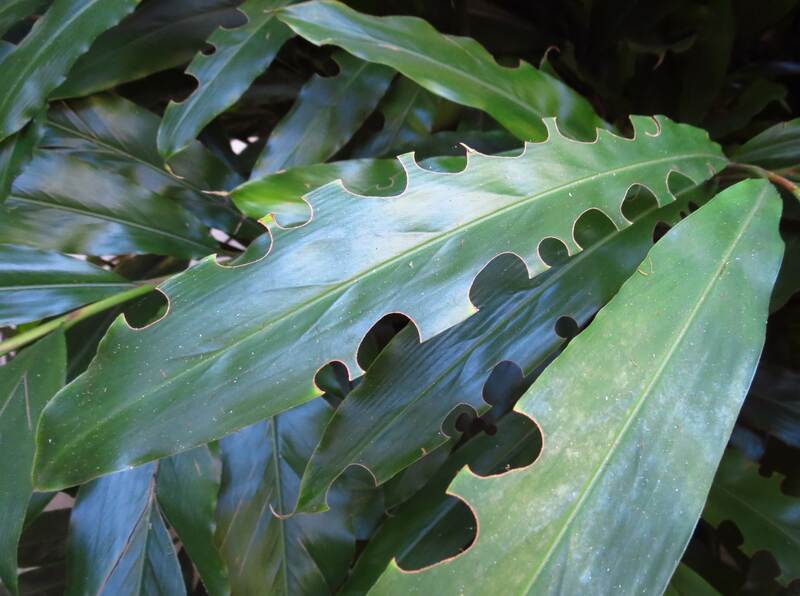 Female Leaf-cutter Bees cut circular sections out of leaves on Native Ginger Alpinia caerulea. She then rolls these sections between her legs and flies off to a suitable nest hole in a tree or a bit of carpet like our cat’s scratching post. This entry was posted in Bushfood, Mt Gravatt Conservation Reserve, Mt Gravatt Environment Group, Pollinator Link, Wildlife of Mt Gravatt Reserve and tagged Backyard beehomes, Blue Banded Amegilla cingulata, Bushfoods, Buzz pollination, Leaf Cutter Bees Megachile sp, Len Kann, Native Ginger Alpinia caerulea, Photography, Sugarbag Stingless Bee Trigona sp., Teddy Bear Amegilla sp. Bookmark the permalink.